My brother & father in law rode in the MS 150 bike ride this past weekend and stayed at our place between the legs of the race, since we're pretty well near the 1/2 way point. 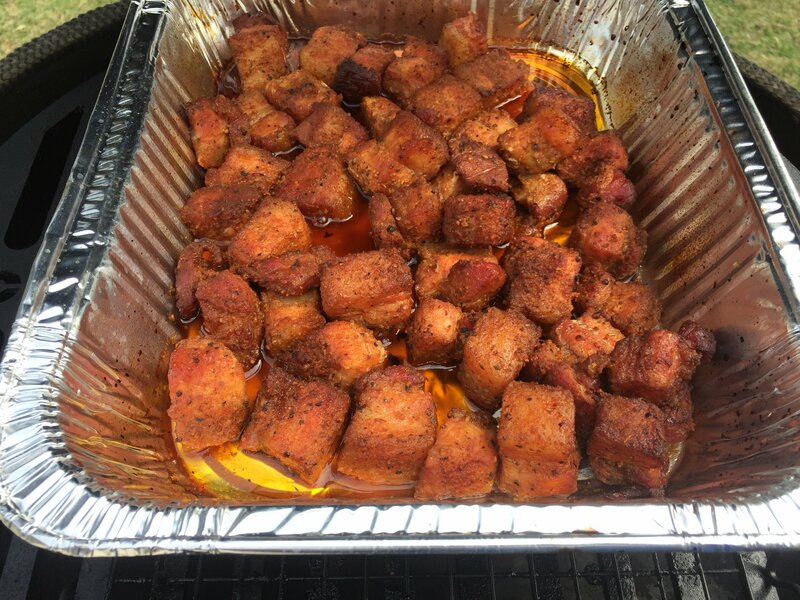 So I needed a good meal to feed folks that just rode 80+ miles on a bike. Total experiment but turned out really nice. 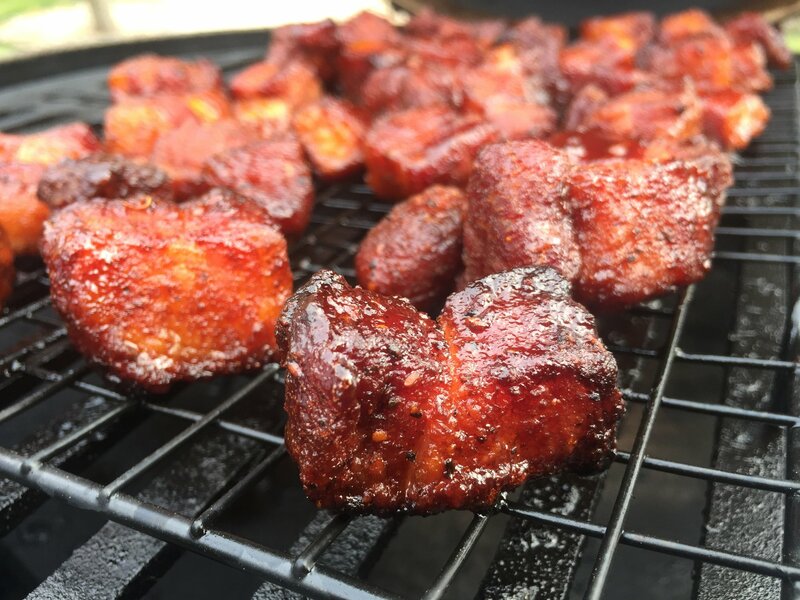 Pork belly was eaten as cooked - but also great the next day as tacos. 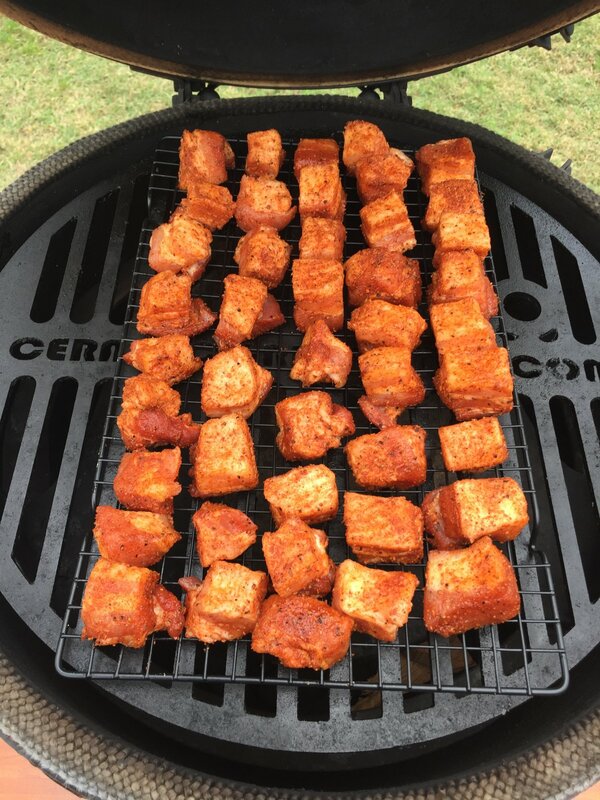 Will be playing with this some more - next time I'm not going to add the BBQ Sauce and try a different flavor profile. Duuuude! Those look just lovely! Very nice! Great job fueling the cyclists. 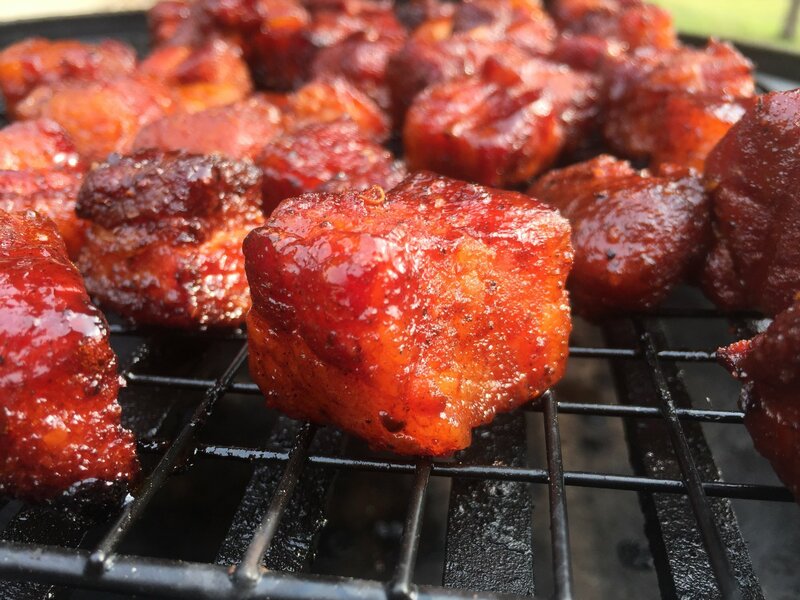 Pork belly burnt ends are incredible, and yours look spot on. 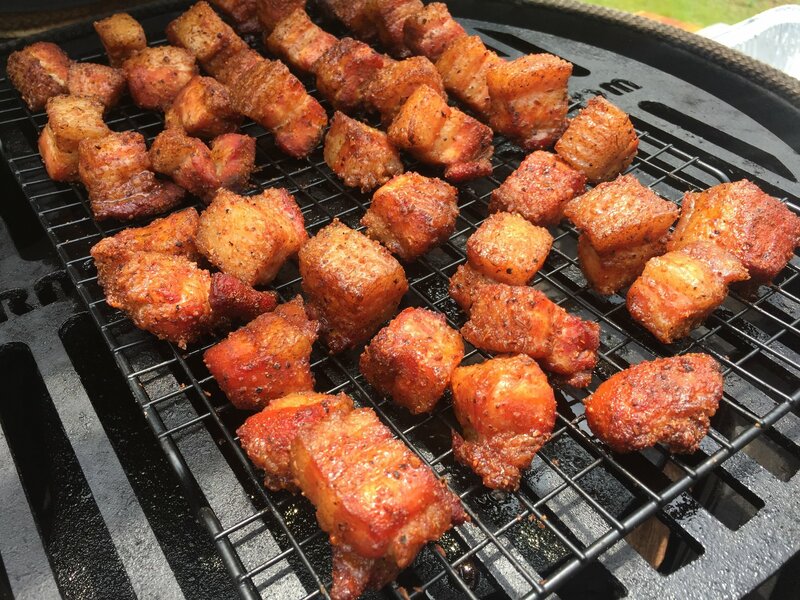 I smoked a pork belly this past weekend also, and I was looking for ways to use the leftovers. 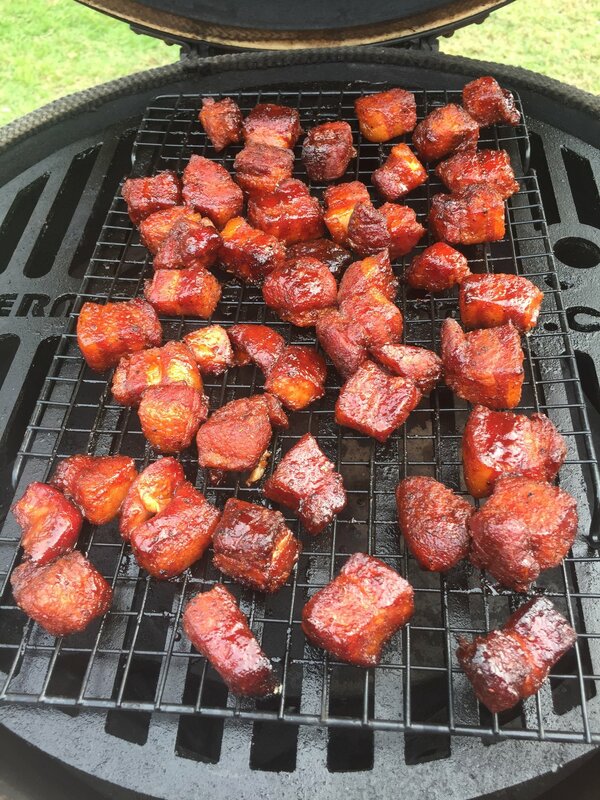 Thanks for the inspiration of the burnt ends.